The Mighty Fast Herbal Infuser infuses: oils, butters, nut butter, tinctures, honey, syrup, alcohol, glycerin’s and more! 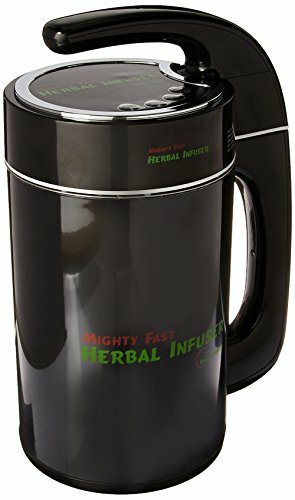 Your Mighty Fast Herbal Infuser includes the following: mighty fast herbal Infuser instruction manual strainer measuring cup one-year limited warranty (when purchased from an authorized dealer - we are authorized dealers!) 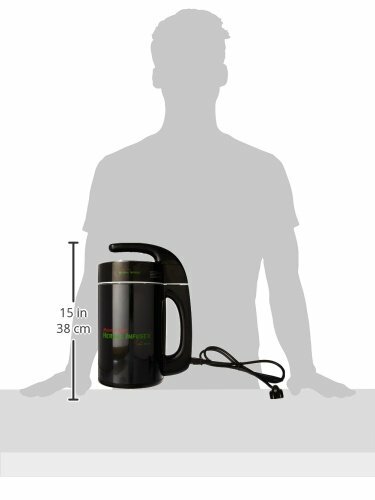 The Mighty Fast Herbal Infuser was created and produced with the philosophy that in our ever evolving world all of us should feel empowered to take charge of our health and cooking. Personal choice was a big factor in determining how to develop the mighty fast herbal infuser. There is a tremendous amount of information out there in the world. We fully believe in personal choice. We've logged in the research time trying to pin down exact scientific times and temperatures to create the best infusions. From this research we can confidently tell you that just as you feel that you have nailed down the "correct" time to cook your infusion and temperature to cook it at, you will inevitably find someone else who will tell you that they did it completely different than you and too yielded a useful product. We've taken the guesswork out of the equation and handed you a fantastic option: choice! Mighty fast 1 mighty fast 1 is the way to go when time is of the essence and child's play is not optional! Mighty fast 1 Infuser’s herbs into your base of choice in just 45 minutes. Mighty fast 2 mighty fast 2 allows your herbs to infuse for a 90 minute cycle. Mighty long behold, the mighty long. The last of our infusion cycles is the mighty long 4 hour timed cycle. Mighty clean mighty clean is our quick wipe down of the inner workings of the unit. We are an authorized dealer of the mighty fast herbal Infuser. In stock - ships fast and discreet - tracking number is included. If you have any questions about this product by Mighty Fast Herbal Infuser, contact us by completing and submitting the form below. If you are looking for a specif part number, please include it with your message.